jQuery is a very popular framework among web designers and web developers because it allows them to create many things without too much coding. 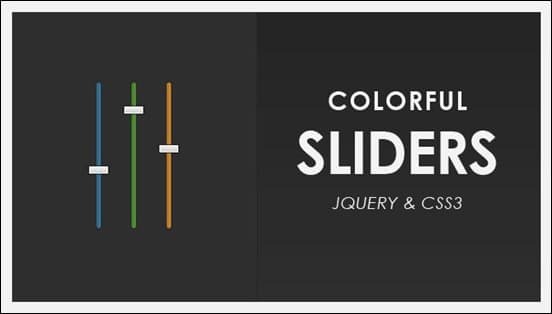 jQuery sliders are very popular now so having skills in jQuery programming is a must for every web developer. These 10 awesome jQuery tutorials will help you learn the basics of working with jQuery. With the help of this tutorial, you will learn to create a neat effect with some images using jQuery. The idea behind this effect is to have an image area with several images that slide out when we hover over them, revealing other images. The sliding effect will be random. This means that whenever we hover over the images, the other ones will slide in different directions – top, bottom, left, right, fading out or not. When we click on any random area, all areas will slide their images out. This tutorial is very simple and useful and you’ll have your effect ready in minutes! With this tutorial, you can easily make some content (for example login or signup forms) accessible on every page, but keep it hidden until needed. You can achieve this by making a top panel that when clicked, will reveal its self and its content. Learn how to animate it with this step by step guide. This tutorial fixes one of the most annoying struggles of web design: not displaying all of the redundant information on every page. You will start by creating a cool Photoshop layout, then you will plan the structure, transfer it to CSS and then link everything together! After this, you need to style the panel and add your content. 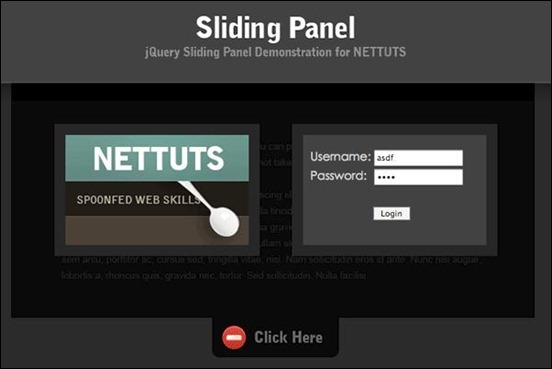 In the end, you’ll be playing with jQuery and animate the panel! In this tutorial, you will create a set of nice typography effects for big headlines using CSS3 and jQuery. 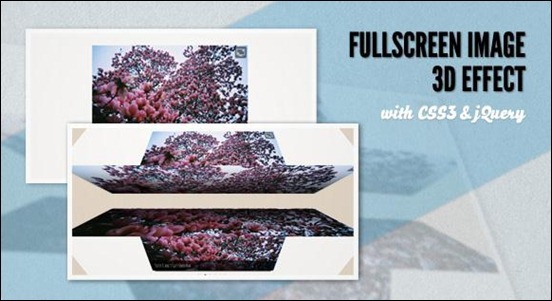 You’ll explore some of the possibilities of creating awesome CSS3 animations and transitions and you will learn useful information that you can use in future projects or experiments. There are many things you can do with CSS3 animations and transitions and with this tutorial you’ll explore some of the possibilities. This step-by-step tutorial uses examples and shows you how to easily achieve them. 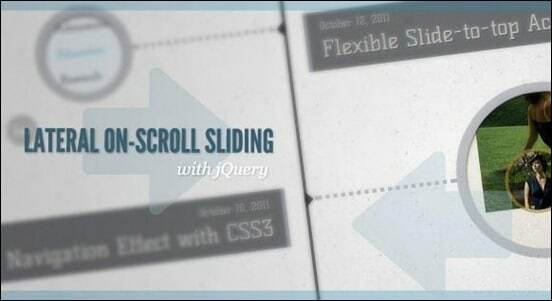 Learn how to create a “slide-in on scroll” effect with this helpful tutorial. The main idea is to laterally slide in elements depending on the scroll position of the document. Find out how to do it in this step by step guide. This tutorial will show you how to achieve the desired effect by experimenting with a timeline where we will have some circular elements on one side and the descriptions on the other. We’ll be alternating the sides to create a random look. As usual, you can use the precious information you’ll get from this tutorial and apply it to other projects. Learn how to show an image’s fullscreen version by rotating two blocks in three-dimensional space. You’ll be using Modernizr in order to know if the browser supports the used CSS3 properties. Please note that you can only see the cool 3d effect if your browser supports those CSS3 properties (currently Chrome and Safari). This tutorial also shows you a video of the effect. You’ll be achieving the promised effect in just a couple of minutes if you follow the step-by-step instructions! 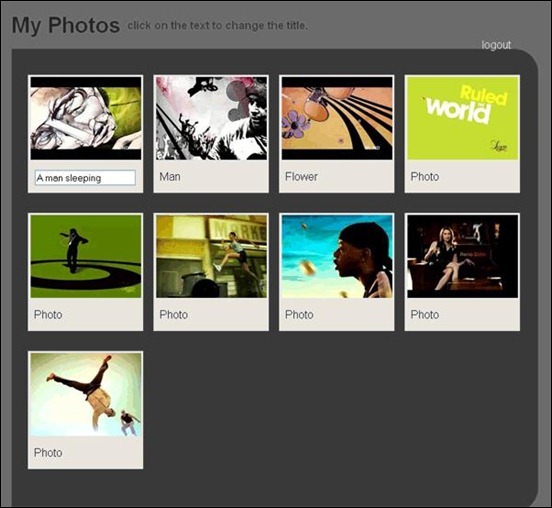 Learn what are the steps of creating a photo site using PHP, jQuery, and AJAX. You’ll be retrieving images from a database, creating a simple login form with authentication, and will then allow for our database to be asynchronously updated. To make everything even more secure, we’ll create a simple membership system as well. This step-by-step tutorial is really easy to follow and it’s full of useful explanation! Learn how to create a zoom tour script with jQuery in this super-helpful tutorial for beginner web developers and designer. The tutorial is very easy to understand. 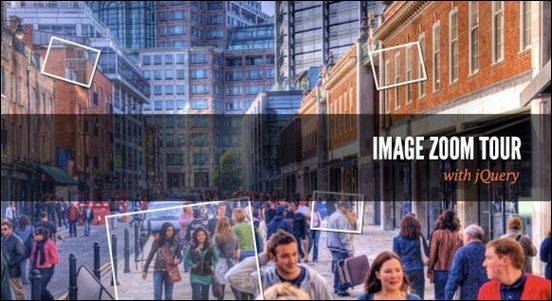 The main idea of the tutorial is to show a single image initially, on which we want to be able to zoom into certain parts by clicking on tags and using another image for the closer view. You will achieve this effect by carefully following this tutorial and by enlarging the current image and fading in the new one. 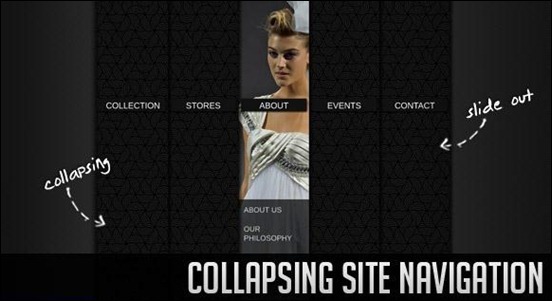 Learn how to create a collapsing menu that contains vertical navigation bars and a slide out content area. The effect is that when hovering over a menu item, an image slides down from the top and a submenu slides up from the bottom. Clicking on one of the submenu items will make the whole menu collapse and the respective content area will slide out. This is a very fun and catchy effect and it’s not that hard to achieve! You’ll just need to follow the instructions from the tutorial which will explain all the steps from the HTML to the Java Script. 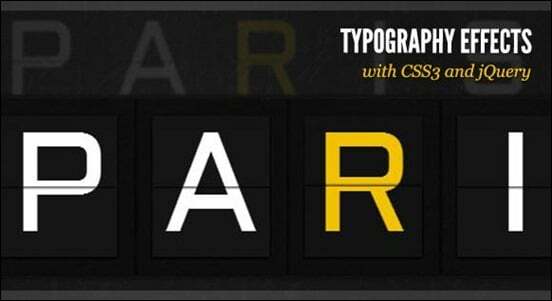 This tutorial uses the font Liberation Sans. In this tutorial, you’ll be using jQuery and CSS3 to create a three-dimensional dynamic slider effect. The techniques presented here can be used for creating sliders, and CSS dynamic resizable bars too. You’ll be using a PSD file for this tutorial, so you can create your own colors and custom shapes. This tutorial is very useful and easy to follow and it uses jQuery library to create the dynamic bar effect. 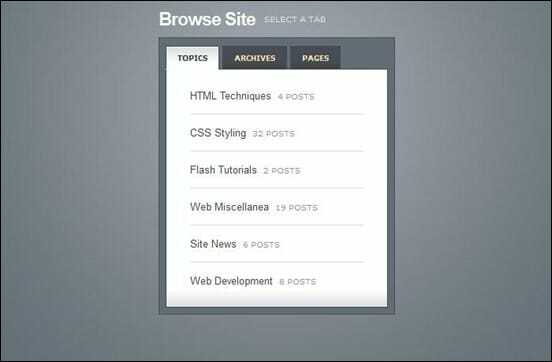 Great collection of JQuery Tuts, thanks!